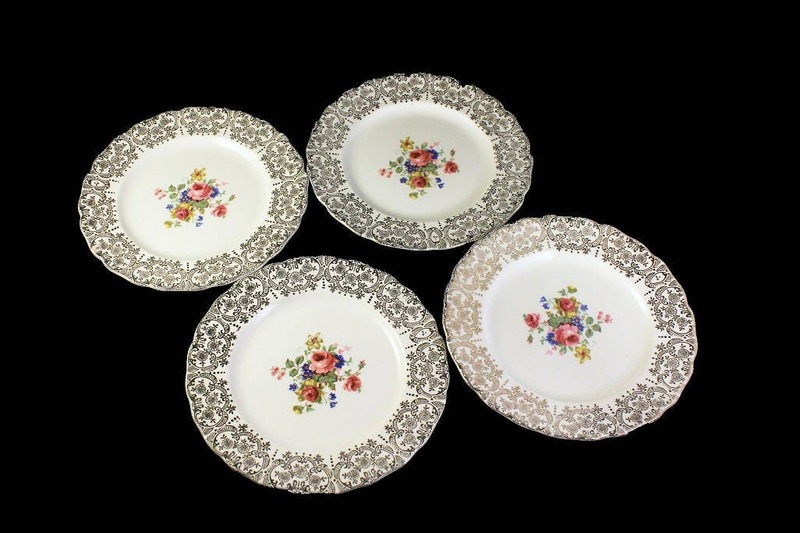 A wonderful set of four bread and butter plates made by the Canonsburg China Company. 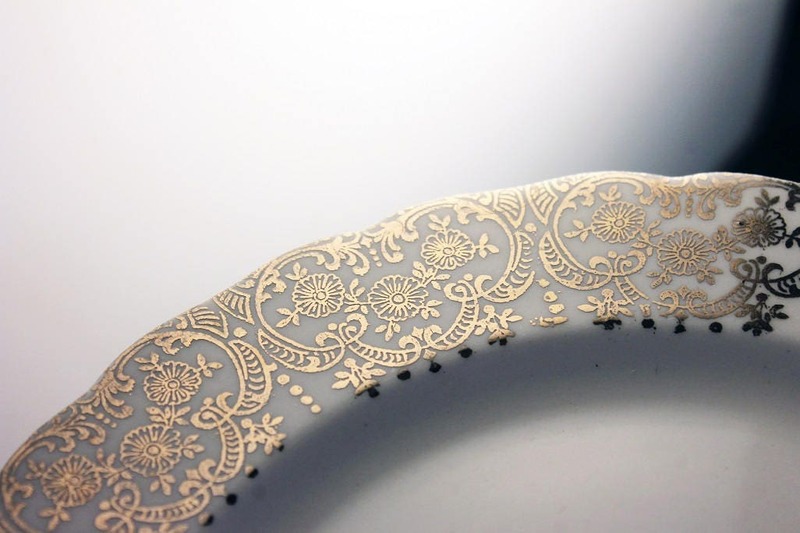 The pattern has Warranted 22 Karat gold filigree around the rims and a lovely rose motif in the center of the bowls. 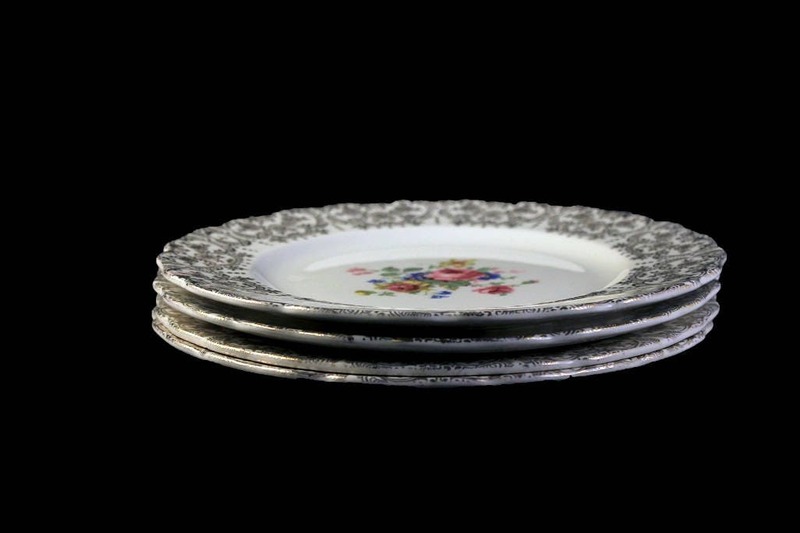 They would be beautiful on a table, buffet, sideboard, or in a china cabinet. 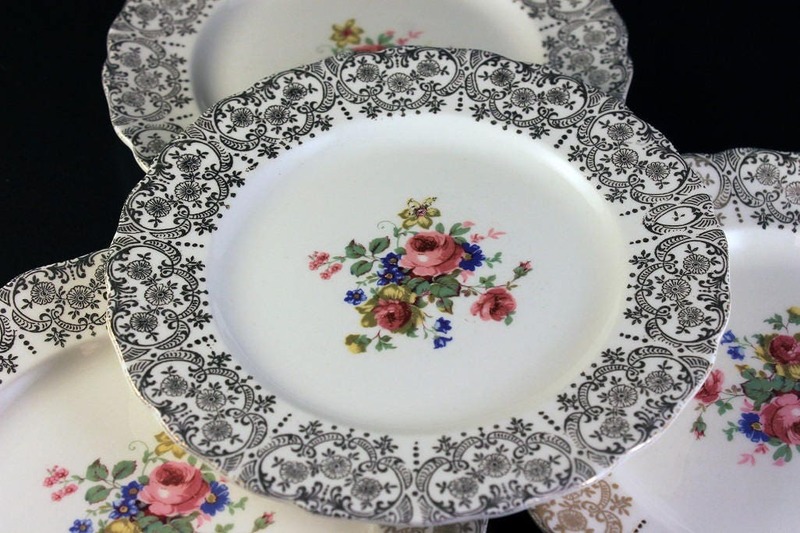 The Canonsburg China Company was founded in 1900 by John George. 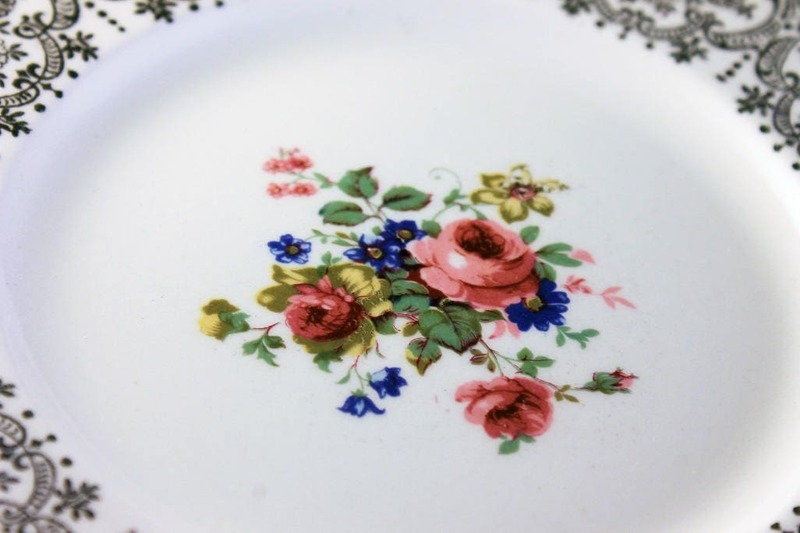 In 1909, the name was changed to Canonsburg Pottery Company. 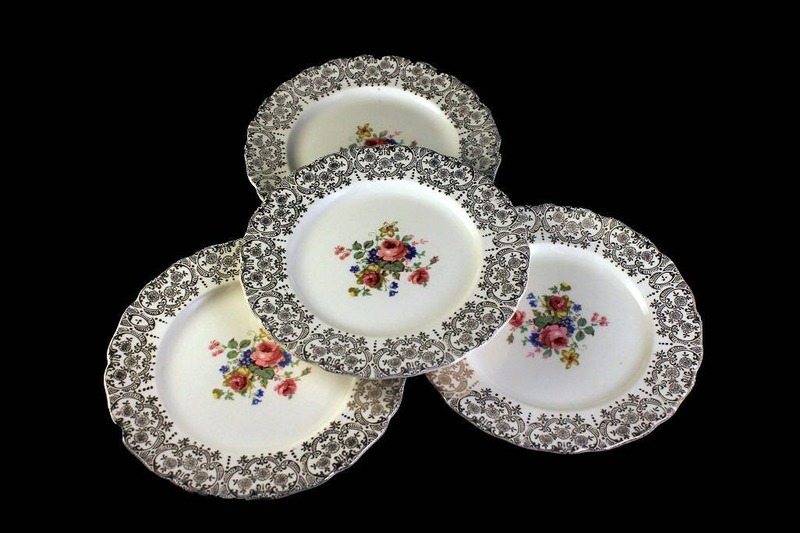 The company remained in the George family until 1975, and it closed in 1978. 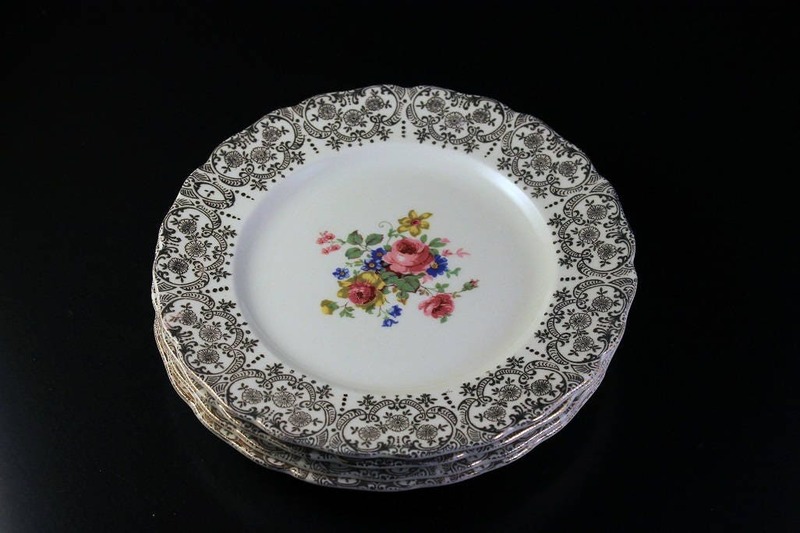 These plates are in excellent condition. There are no chips, cracks, or crazing.